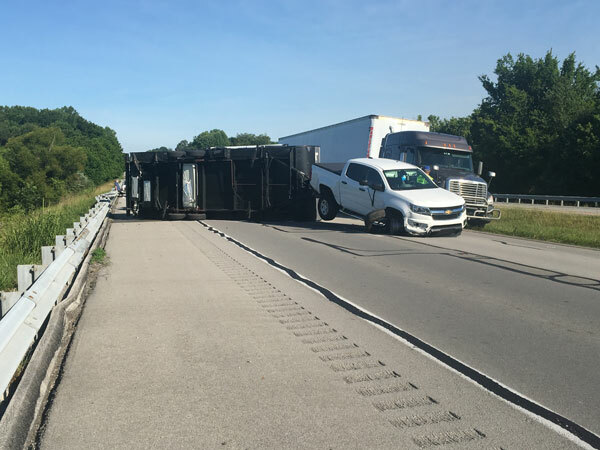 A camper being hauled by a truck has overturned on the Louie B. Nunn Parkway in the eastbound lane at mile marker 53 in Adair County, causing the roadway to be blocked in both lanes. Crews are on the scene. Please use an alternative route if you are traveling in that area. The road is expected to be closed for a couple of hours.